Lewis Hamilton believes Michael Schumacher is the greatest Formula 1 driver of all time. 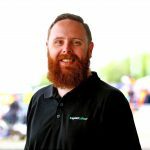 The Englishman sits second behind Schuamcher on the all time winners list and is tied for second with Argentinian legend Juan Manuel Fangio for world titles with five. At 33 and with two years left on his current contract with Mercedes there is time for Hamilton to catch and potentially eclipse Schumacher’s tally of seven titles. Hamilton is already closing in on his wins total, with 71 victories versus Schumacher’s 91, and podiums with 132 versus 155. Schumacher’s record number of poles (68) has already fallen to Hamilton (81). While Schumacher’s markers are now targets for Hamilton, he believes the German is F1’s greatest ever driver. “Michael’s still quite far ahead in race wins so you can have to say he is still the GOAT,” Hamilton said. “Fangio, I think, is the godfather and always will be, from a driver’s perspective. “To do what he did at that time, when everything was so dangerous, my respect is so high for him. “I feel very honoured to have my name alongside his. If I stopped today, the Hamilton name will always be there. Like Schumacher, Hamilton has won titles with two different teams and has twice come close to titles. In 2007 he narrowly missed out to Kimi Raikkonen while racing for McLaren in his rookie year, while in 2016 team-mate Nico Rosberg claimed the title. With Mercedes the established force in the current hybrid era, and regulations not set to change significantly until 2021, Hamliton has the potential to get close to Schumacher’s high water markers. “I’m very, very fortunate to be up here now, obviously with more than most people have, and I don’t take that for granted,” he said. “Whether or not I’m going to have the chance to win more, who knows? I’m going to give it everything to do so. 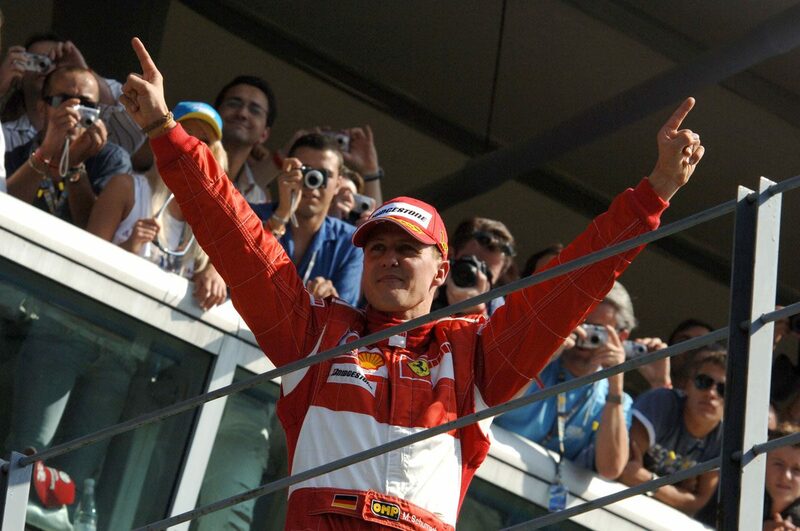 “The 91 wins that he [Schumacher] has, for example, that’s a lot of wins.